Kentucky Derby Pie with Bourbon Whipped Cream - pie crust filled with butter, sugar, eggs, vanilla, flour, pecans and chocolate chips. Top with some quick homemade bourbon whipped cream. This is ridiculously good! Everyone raves about it!! This is a big weekend. We have Cinco de Mayo and the Kentucky Derby. I view both as a great excuse to celebrate. Am I right?! I am not a horse racing fan, but we always watch the Kentucky Derby. I feel the best way to watch the race is with a Mint Julep in one hand and a slice of this pie in the other. 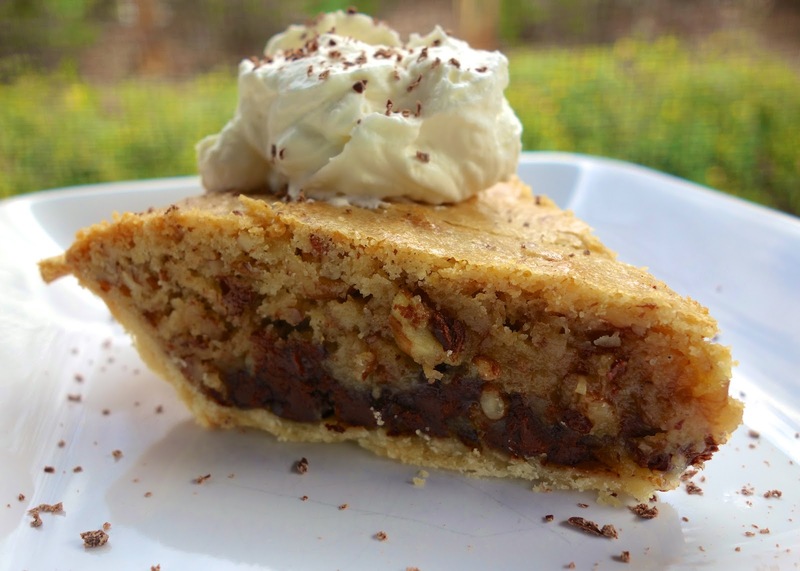 This pie is a cross between a chocolate chip cookie and pecan pie. It is great slightly warm with a big dollop of bourbon whipped cream. Melt butter, and cool for about 5 minutes. Combine flour and sugar. Whisk in melted butter, eggs and vanilla. Stir in nuts. Sprinkle chocolate chips on the bottom of the pie crust. Pour pecan mixture over chocolate chips. Bake for 1 hour. Serve with Bourbon Whipped Cream. To make the cream, Whip together heavy cream, powdered sugar and bourbon. (I chill my mixing bowl in the freezer for 5-10 minutes before adding the cream and sugar). Whip at high speed for 1-2 minutes. My husband's two fav desserts rolled into one ! I will try it this wkend! 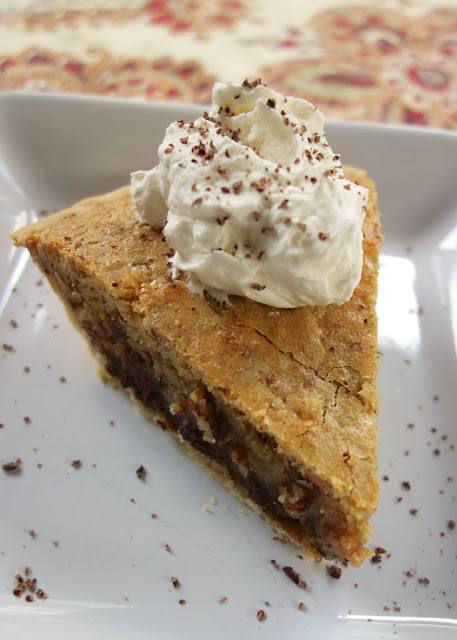 FYI I have a KY derby pie recipe on my blog and was contacted by Wordpress that the lawyers for the restaurant owning the rights to the pie name/recipe were threatening litigation if I didn't stop calling it derby pie. Just a heads up they will eventually contact you!! That derby pie looks so good. Happy Cinco de Mayo to you and enjoy the derby. Looks like there is crust on top as well, do you cover it with crust? Laura - there is no top crust - that is just how the filling bakes up. Enjoy! Question....Do you top the pie with another crust or does it just bake up that way? By the picture it looks like it has a top crust. Oops!...Just now saw the question and answer above in another comment. Guess I'd better read all the other comments first. Nann - there is no second crust on top - it just bakes up that way. Enjoy! Duh-didn't read down far enough-sorry. YUM! I'm definitely trying this pie this weekend! 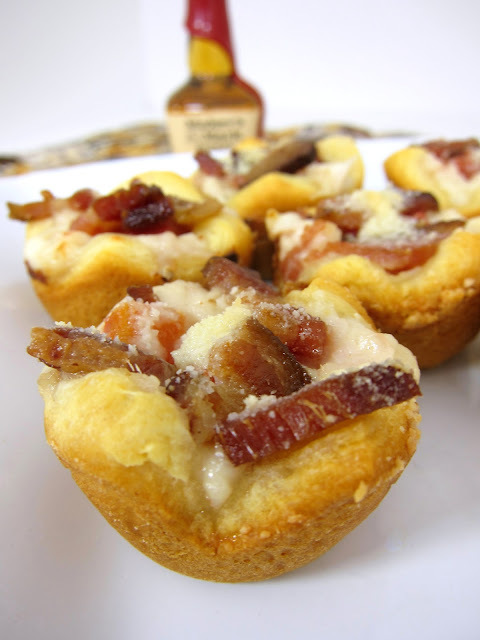 I made these this past week as mini pies and they were fantastic! Do you remember how long you cooked the mini pies? I am making tart sized pies and am not sure how long to cook them for. Just made the pie last night, it was a very rich and sweet pie. I loved it. My husband is not really crazy about chocolate, but he said it was good. Super easy to make. I plan to share it with my friends this week. Just so you don't get in trouble change the name to Kentucky Racy Day Pie. It sure looks rich, yummy and too good to be eaten. Do you just put the ingredients in the frozen pie crust or should you thaw or bake it first? I just used the crust frozen. It thaws out quickly.